On New Year's Day 1963, the Wisconsin Badgers played in one of the most exciting Rose Bow games ever, overcoming a 28-point deficit only to fall short against Southern Cal 42-37. Much to the disappointment of Badger players, fans and alumni since that season the Wisconsin program has been absent from the Pasadena Classic. However, that drought came to an abrupt end. 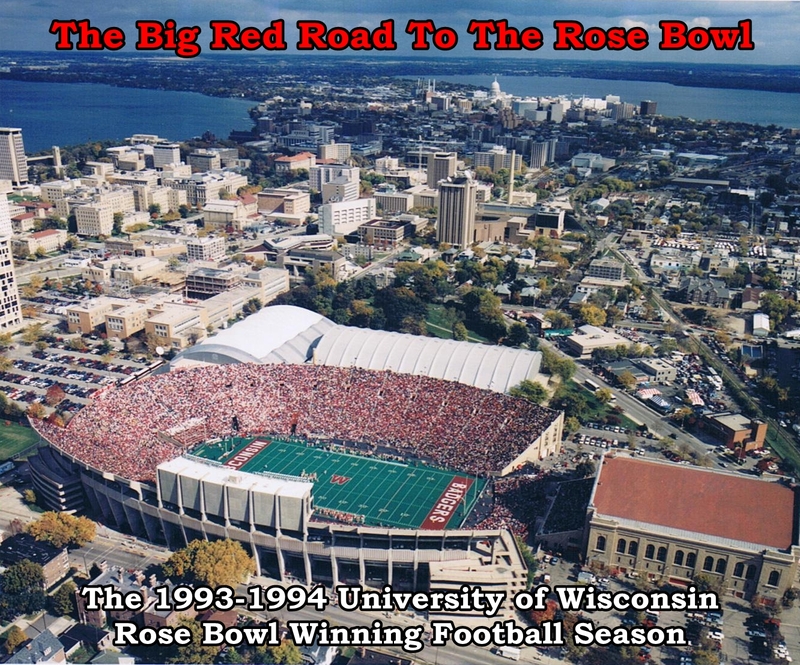 Welcome to the 1993 University of Wisconsin football season. A season which once again places Badger football among the elite college programs! The turnaround began in January of 1990, when Barry Alvarez formerly an assistant at Notre Dame and Iowa agreed to take on the challenge of head coach. Inheriting a team that had only win nine games in four years. Coach Alvarez and the Badgers suffered through three sub-500 seasons, however the program was gaining credibility in the Big Ten and with high school recruits. On the field the Badgers developed a nucleus of a proficient running game and a powerful defense. Last year the team showed signs of what was ahead, upsetting 12th-ranked Ohio State, having four players named as first team all Big Ten selections and finishing the season one victory shy of bowl bid. And so it culminated in a superb 1993 season. Led by Sophomore quarterback Darell Bevell and a devastating running tandem Brent Moss and Terrell Fletcher, the Badgers beat Big Ten rivals, Michigan and Michigan State and Ohio State. Moss gained 1479 yards during the regular season with a streak of 10 games of 100+ yards rushing, while Fletcher carried for 932 yards. On the other side of the ball the Wisconsin defense continued to be ranked nationally. Now Camp Randall Stadium shakes with over 77,000 screaming Badger fans at home games. So sit back and relive one of the greatest years from a school rich in college athletic tradition.